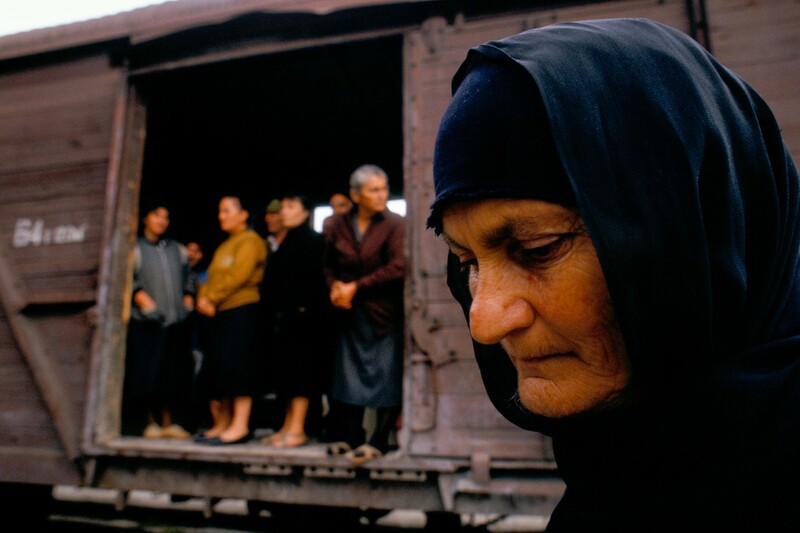 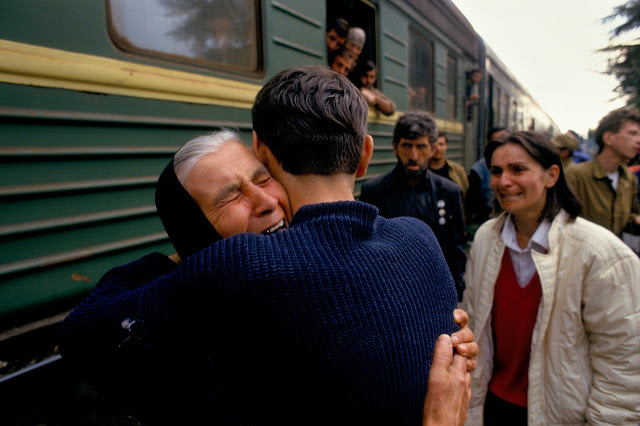 On the railway platform a mother greets her son whom she thought had died in Sukhumi, the town that had just fallen to Abkhazian forces. 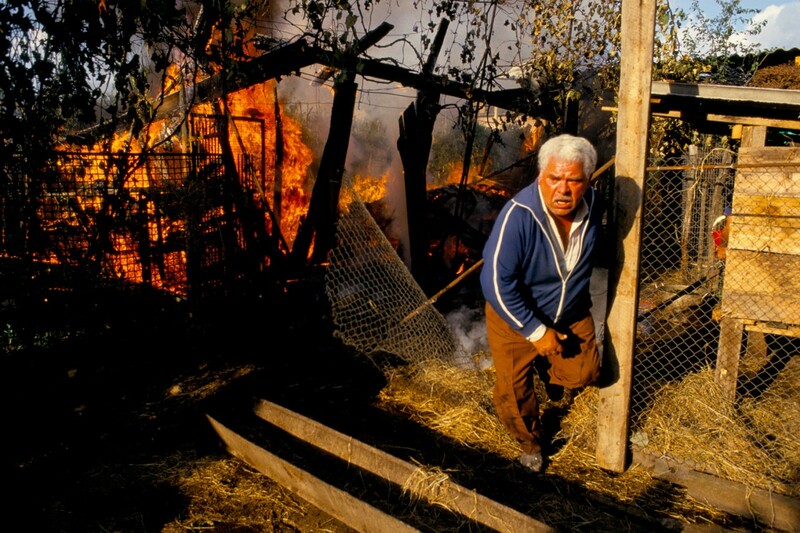 A family in Ochamchire tries to douse the flames after their house is hit in an Abkhazian rocket attack. 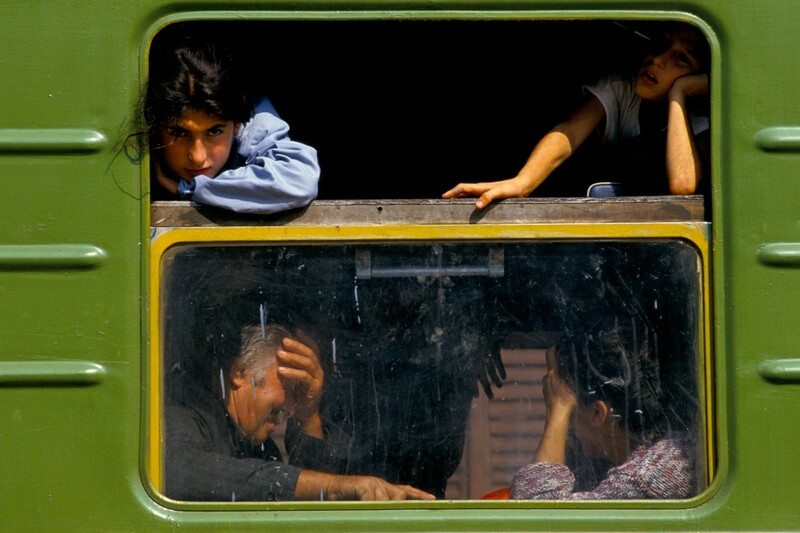 People climb on board a truck as Georgians abandon Ochamchire on the day after the fall of Sukhumi to advancing Abkhazian forces. 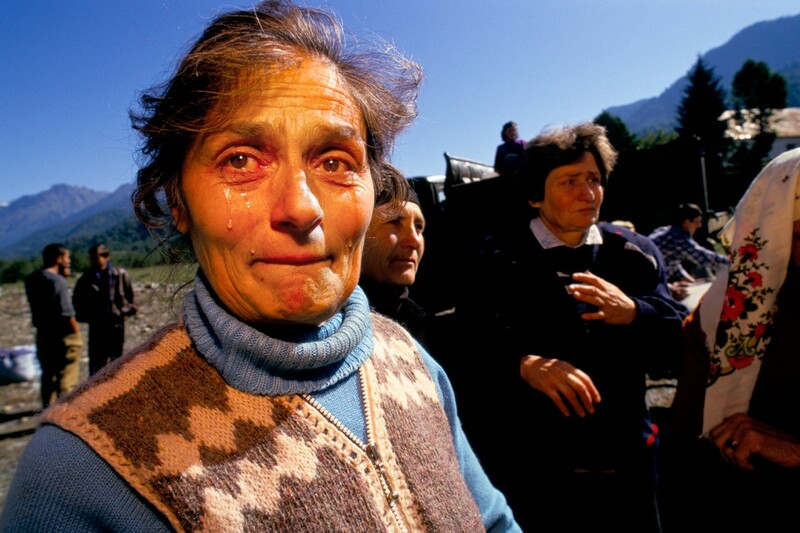 Three lines cars and trucks block the road as tens of thousands of Geogians from Ochamchire and Gali flee south before advancing Abkhazian forces. 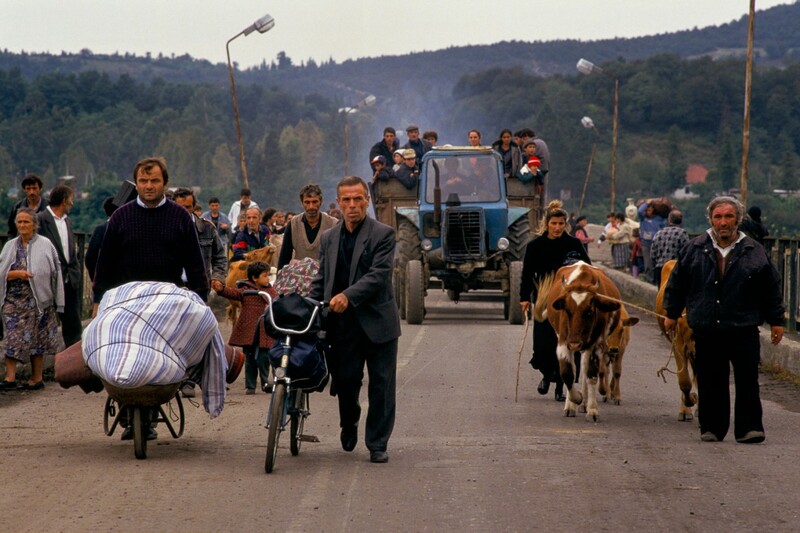 Geogrian refugees cross the Zugdidi bridge to relative safety. 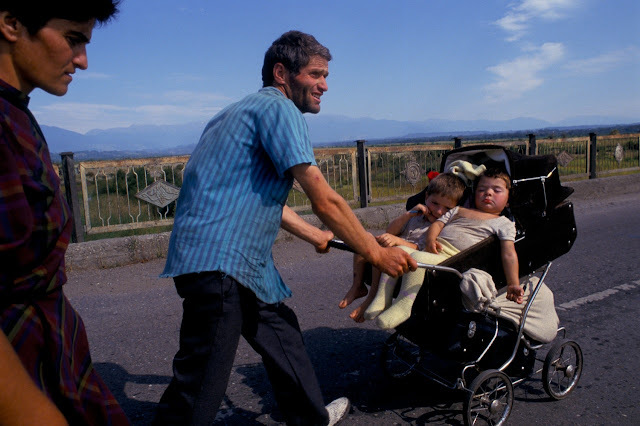 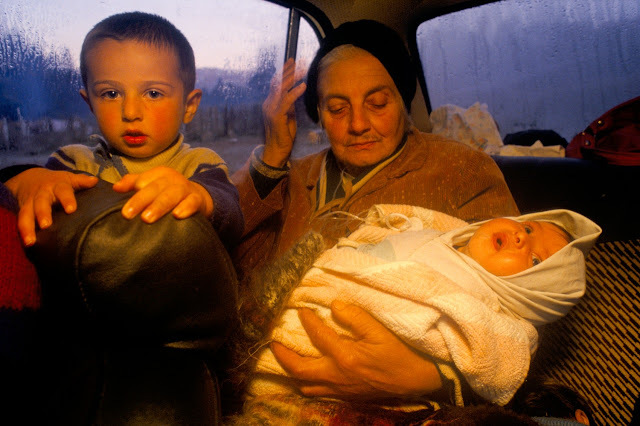 Fearing an advance by Abkhazian forces further south, this young Georgian family cross the Zugdidi bridge to relative safety. 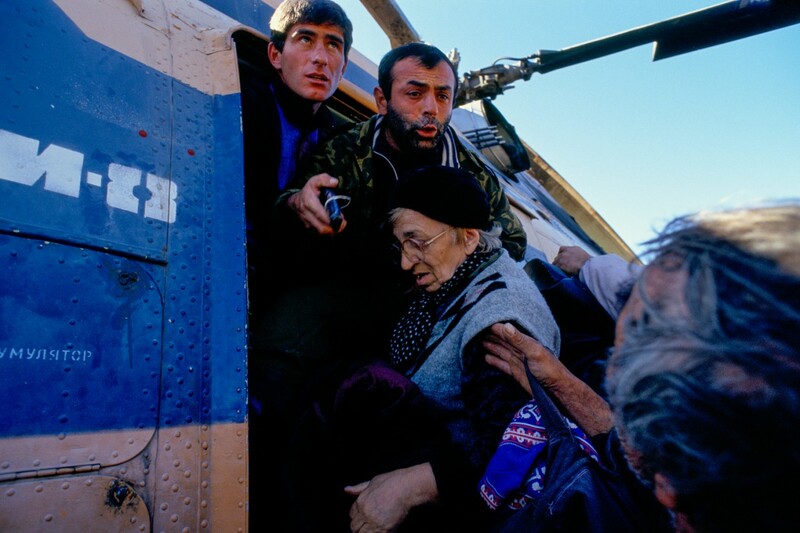 Refugees fight to board a helicopter at Gentsvishi, a day's walk from the foot of the Chuberi pass. 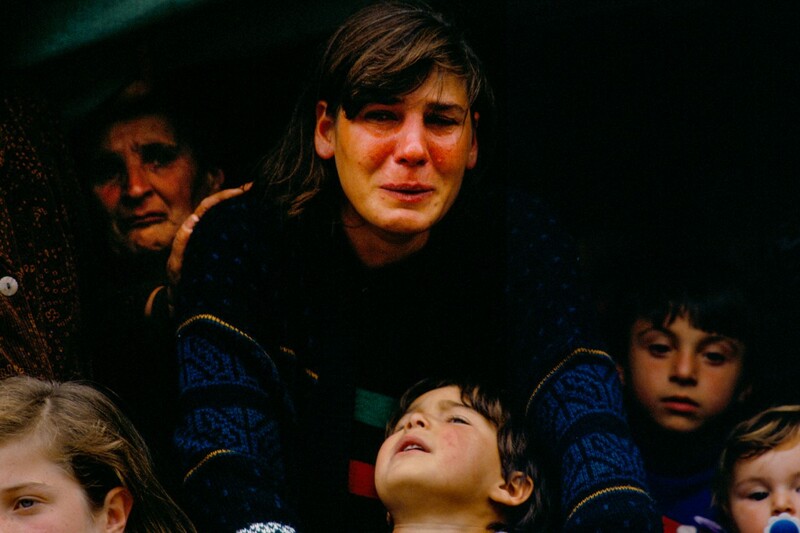 For thousands of Georgian refugees fleeing from Sukhumi, Ochamchire or Gali the only way out was over the 2,7580 m Chuberi Pass. 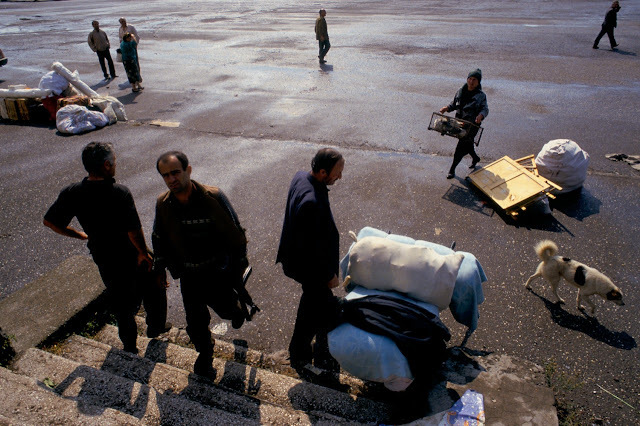 Refugees gathered at Gentsvishi hoping for a helicopter to take them to safety. 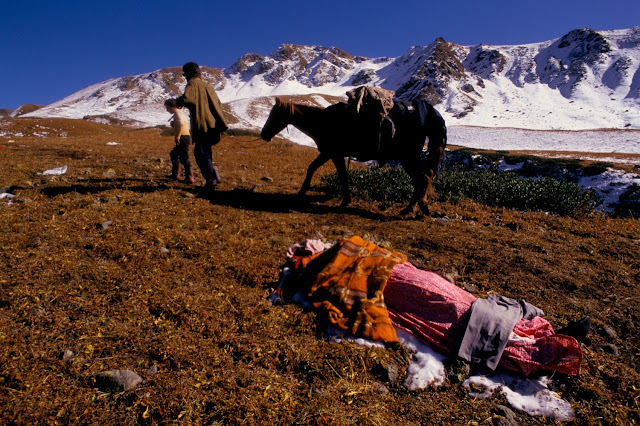 However, the only option for most people was the long walk over the mountains. 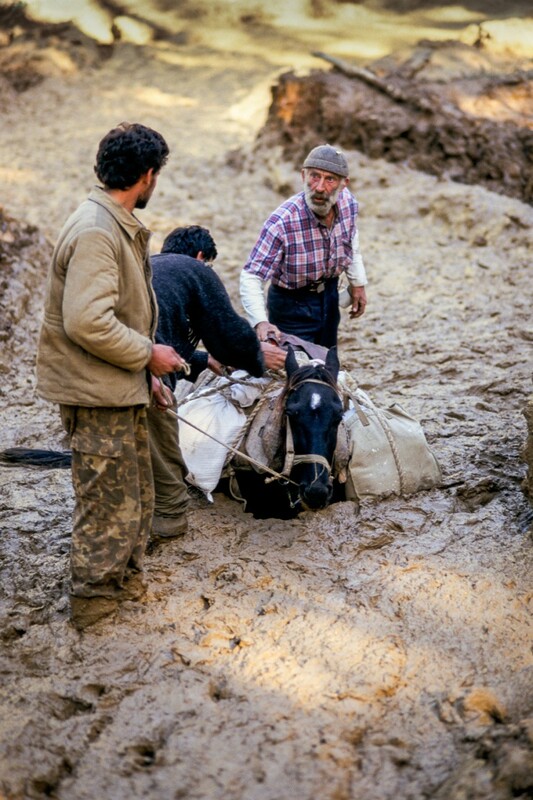 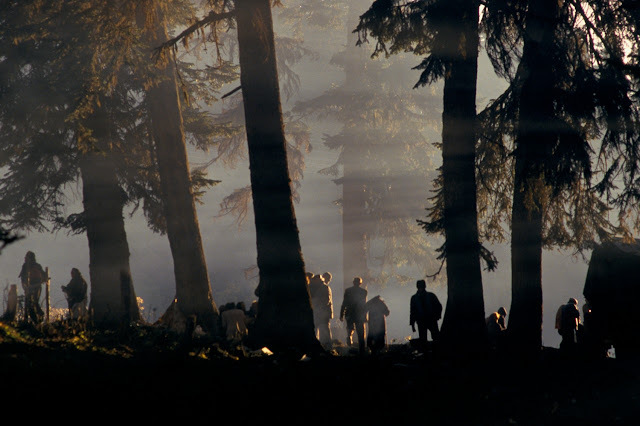 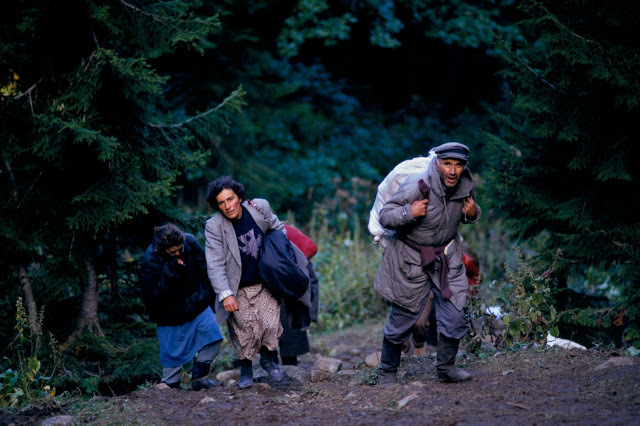 Refugees carrying possessions on their backs begin the long climb over the 2,780 metre high Chuberi Pass, fleeing from Abkhazian Svaneti into Georgia. 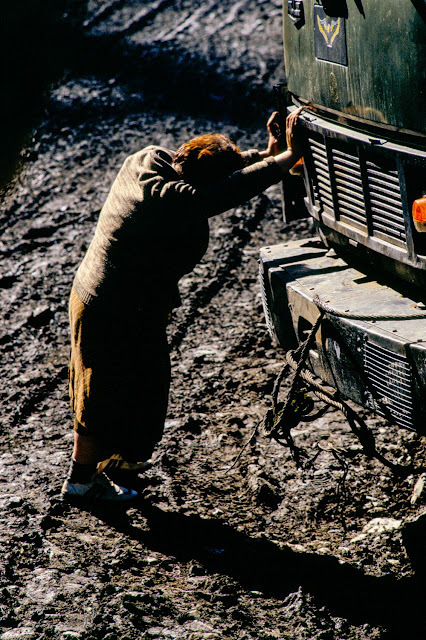 Heavy trucks and melting snow have turned the dirt road over the Chubery Pass ino an axle-deep river of mud. 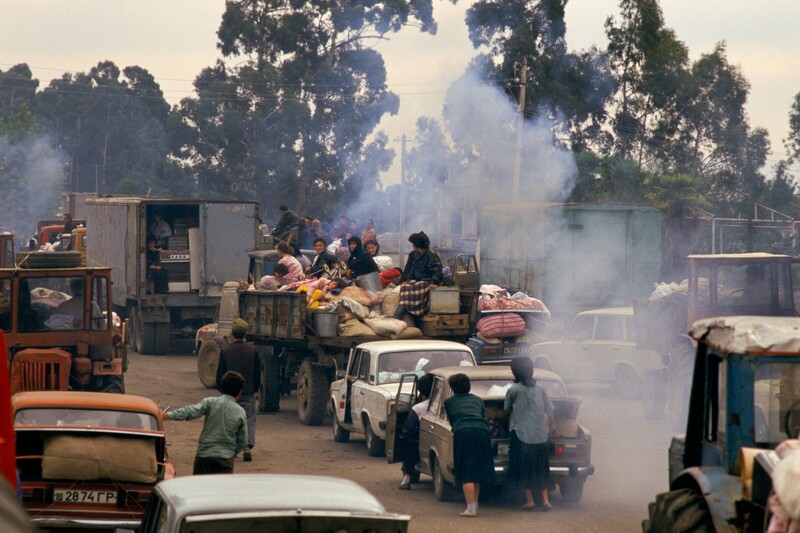 This large truck is hopelessly stuck.